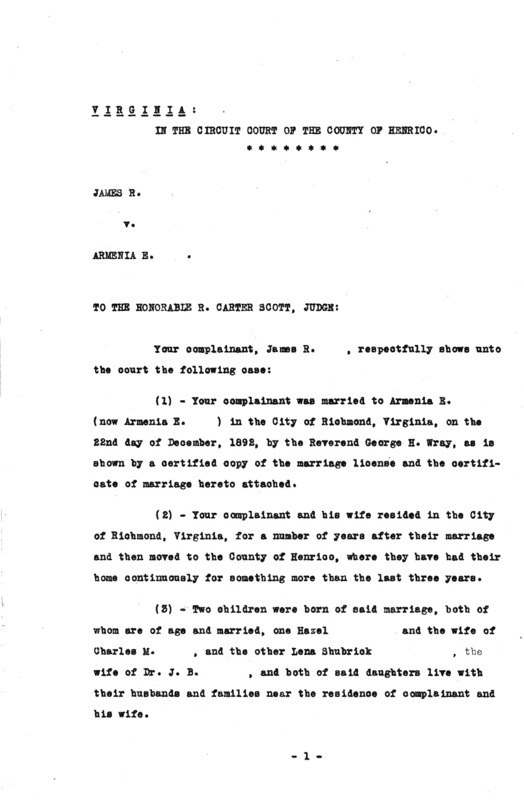 Legal documents pertaining to a case based on grounds of adultery. In many Eastern states at this time adultery or infidelity were the only defensible grounds for divorce, but these grounds had to be satisfied by witness statements of the fact. The following contains several witness and investigation reports of the defendant.